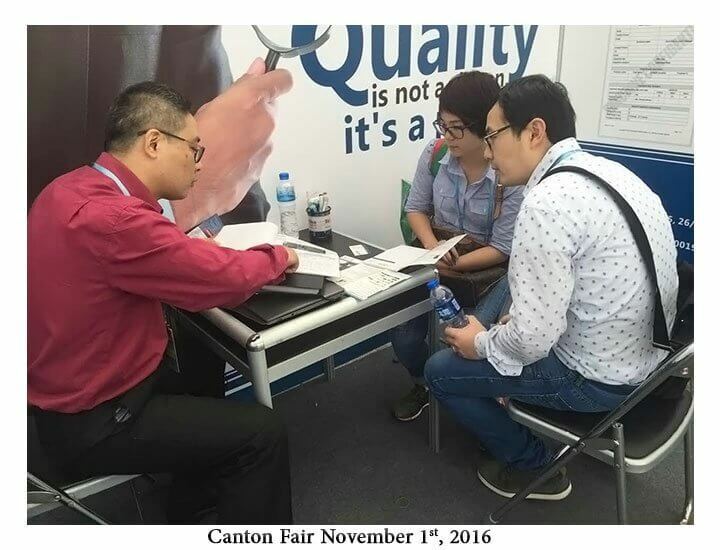 Canton Fair phase 3 starts on Monday. 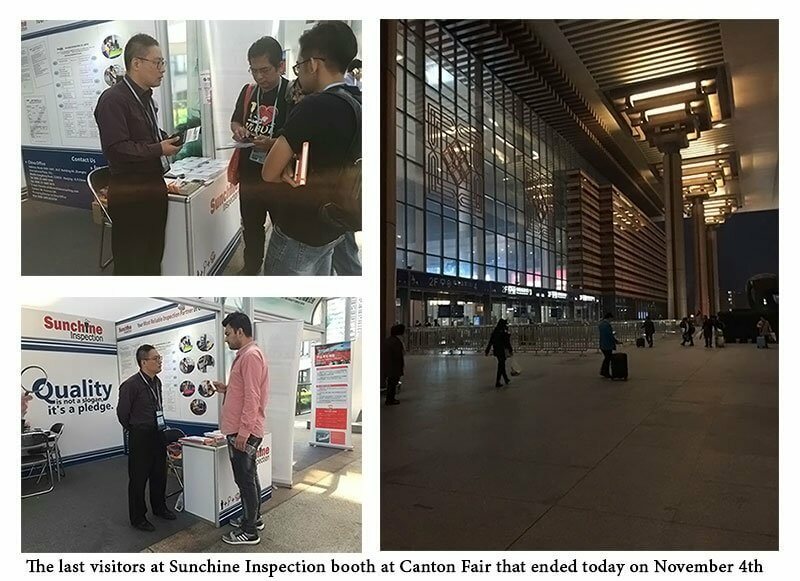 Welcome to Sunchine Inspection booth T07 situated at the connection of area A and area B to Area C.
not lot of visitors attended Canton Fair today on the first day of phase 3. 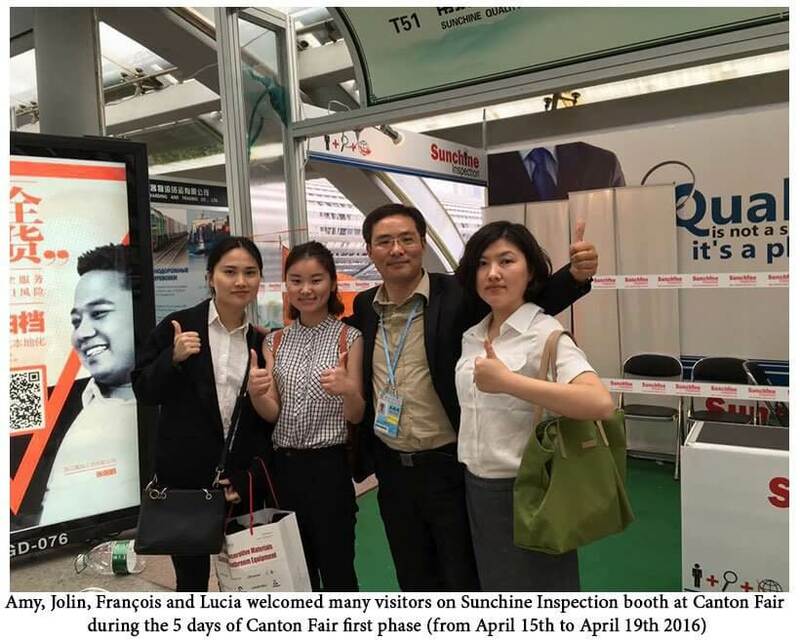 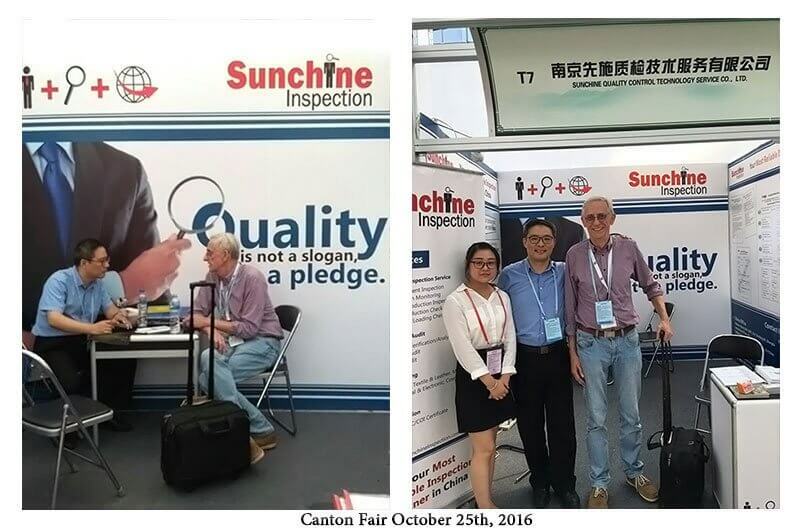 Some photos of Sunchine Inspection booth T7 at Canton Fair. 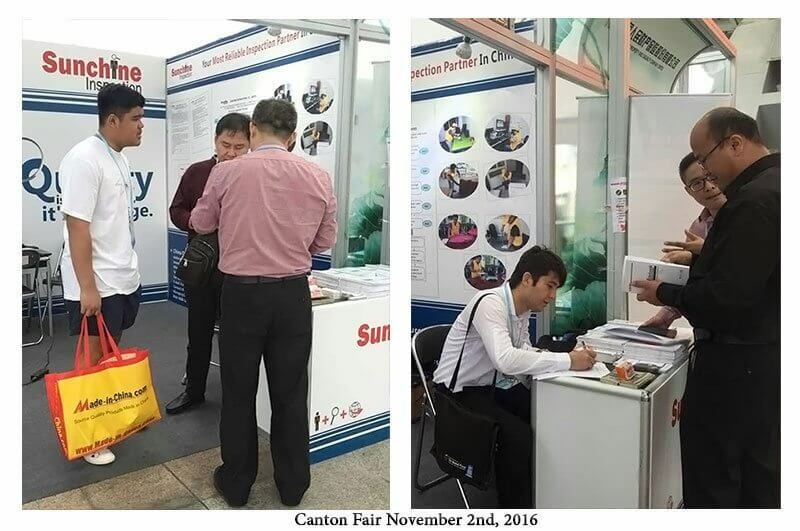 There was more attendance today at Canton Fair. 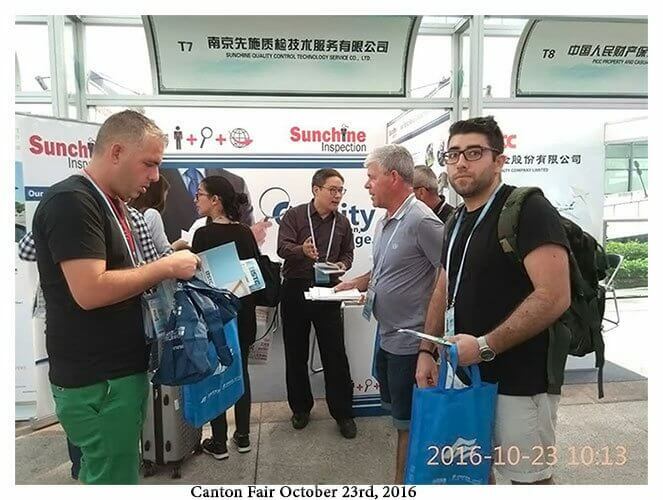 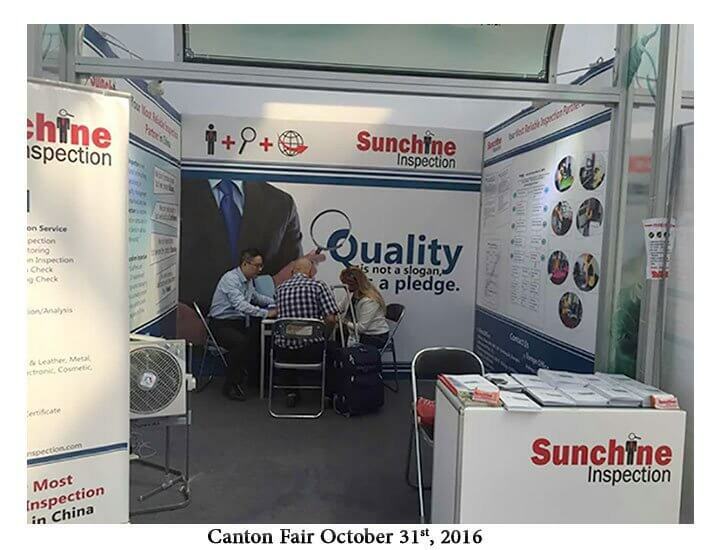 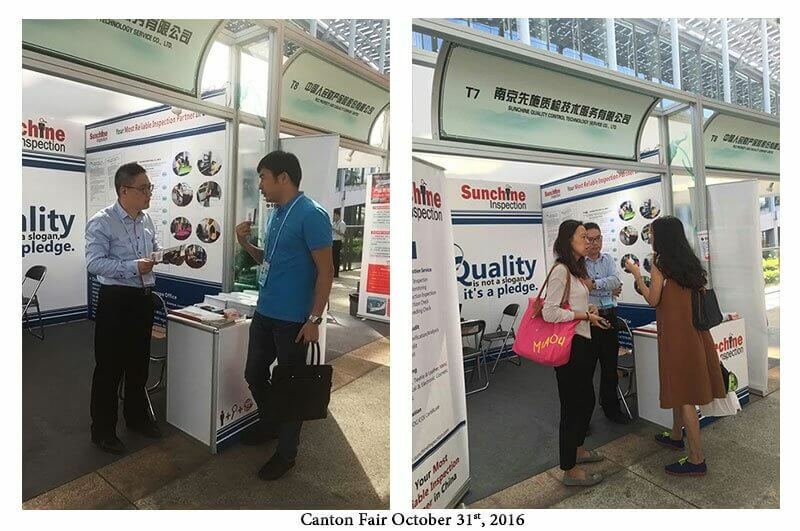 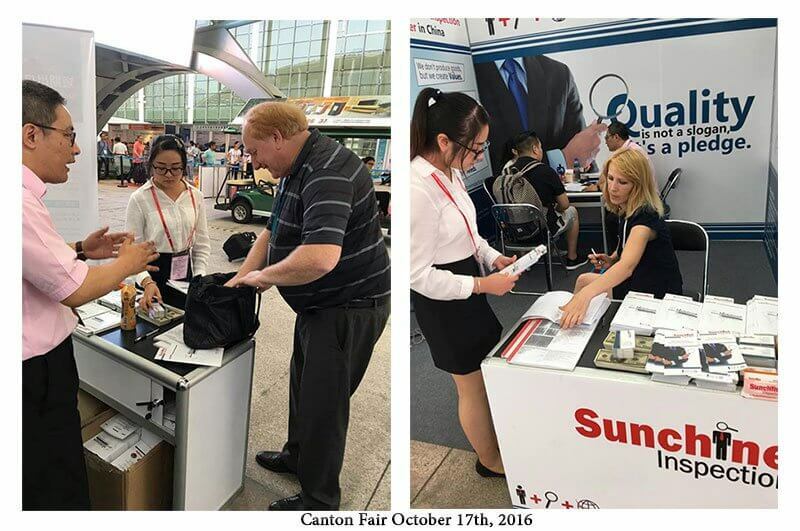 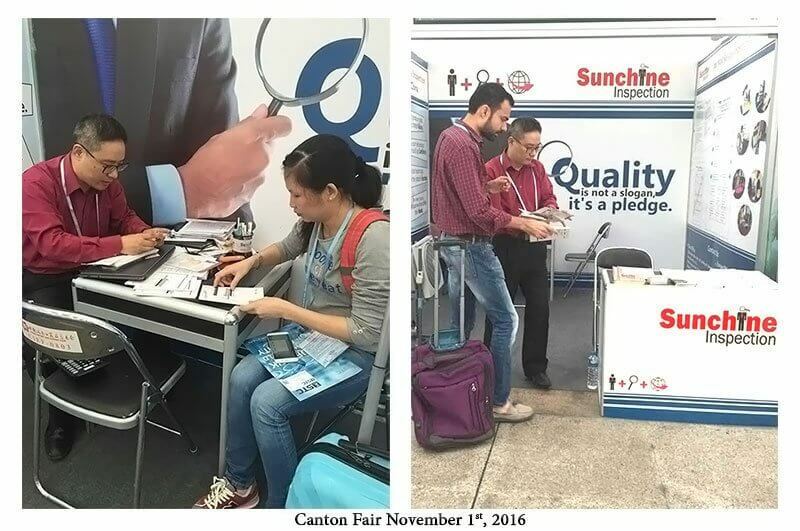 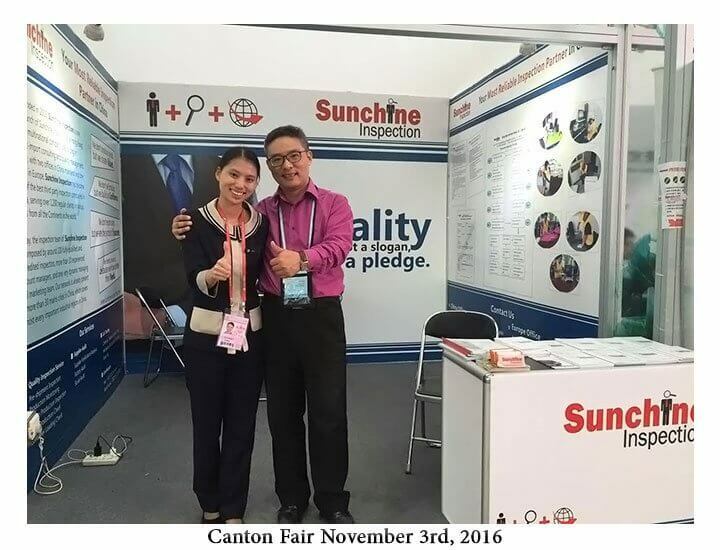 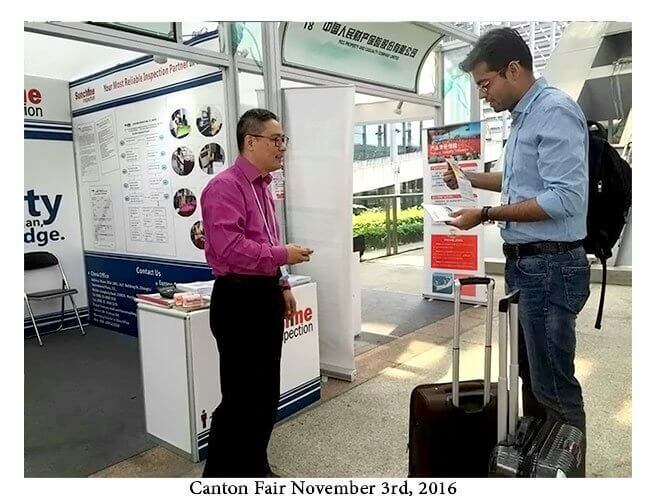 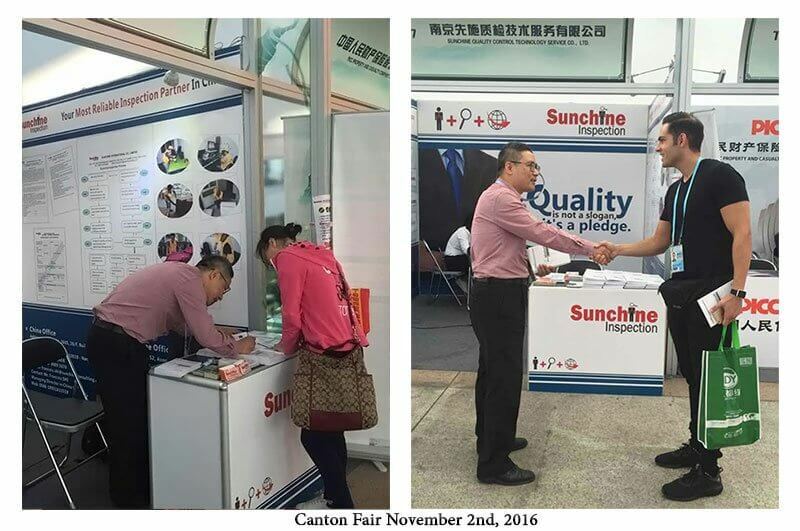 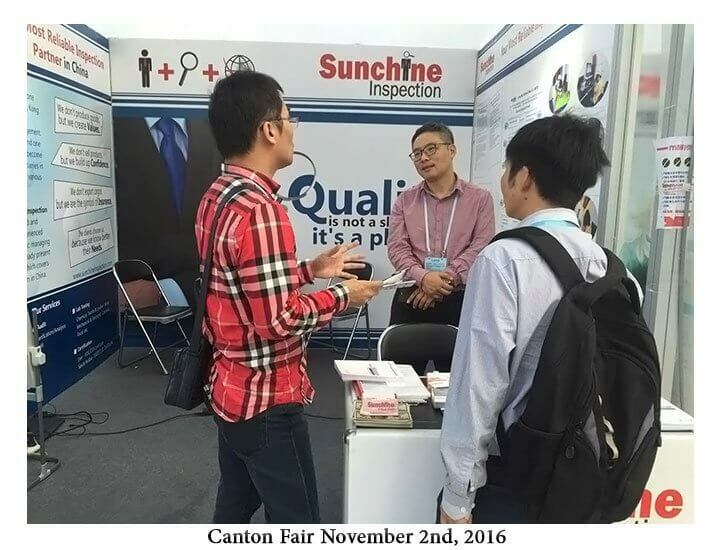 Many thanks to all visitors who came to Sunchine booth at Canton Fair on November 1st. 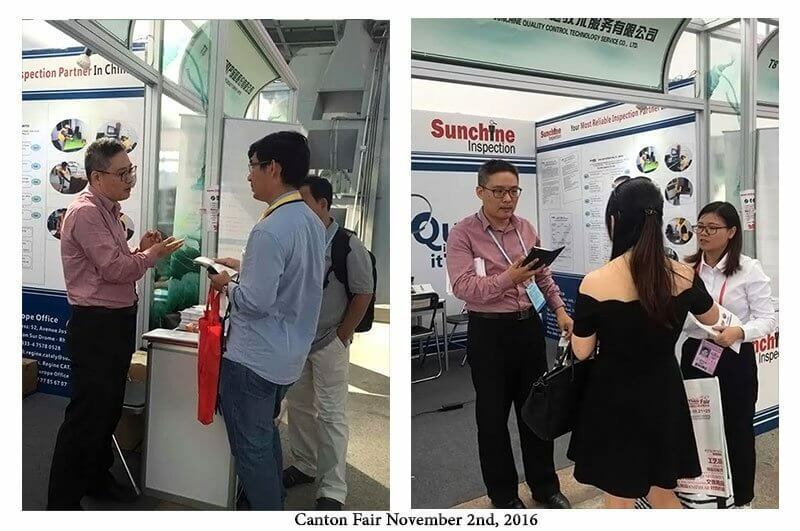 The attendance at Canton Fair is about the same as yesterday. 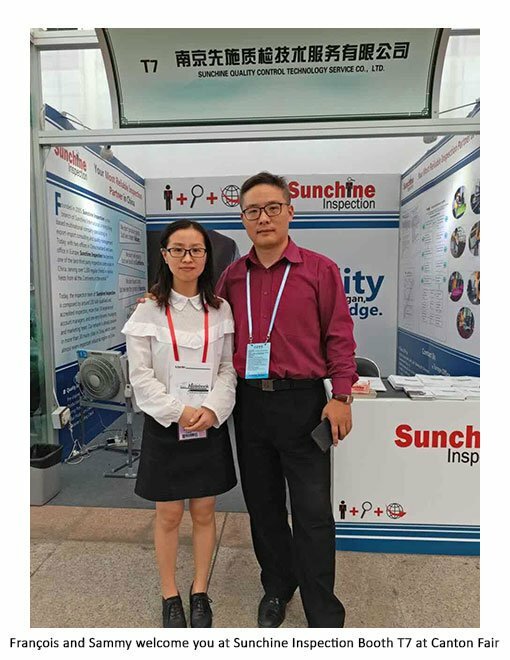 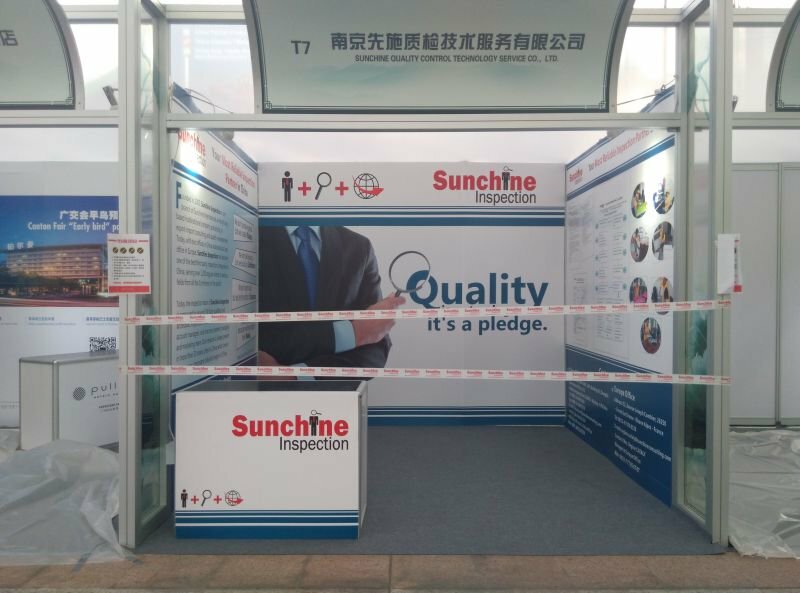 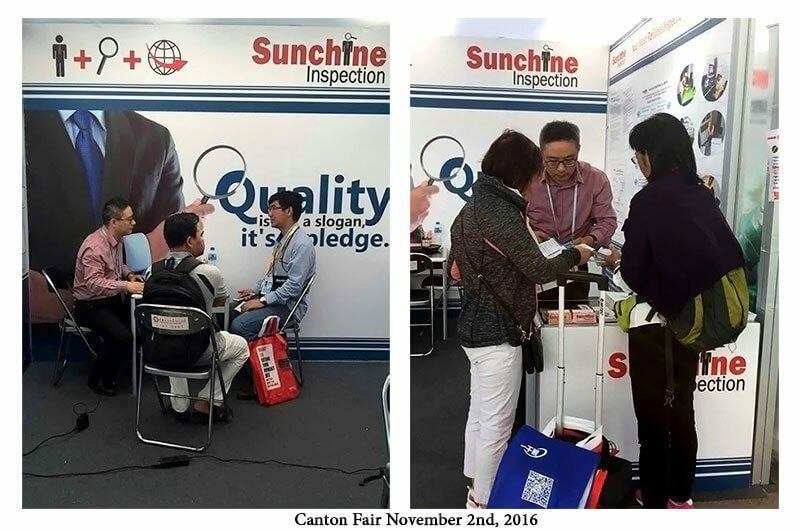 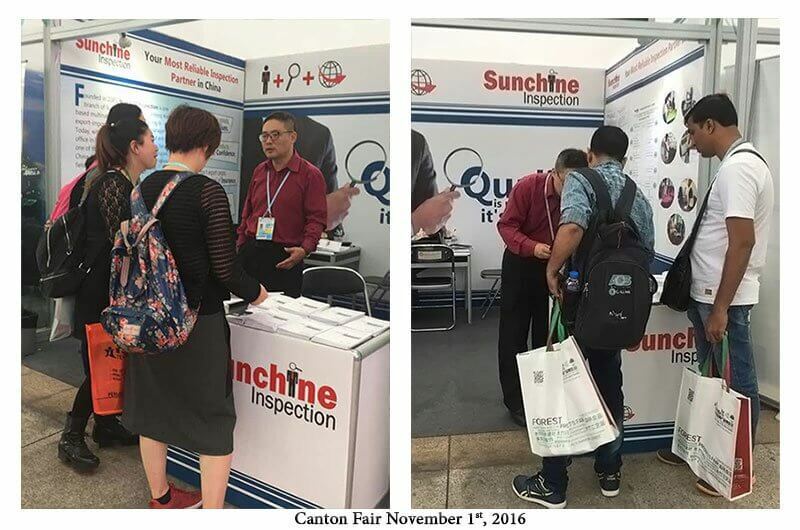 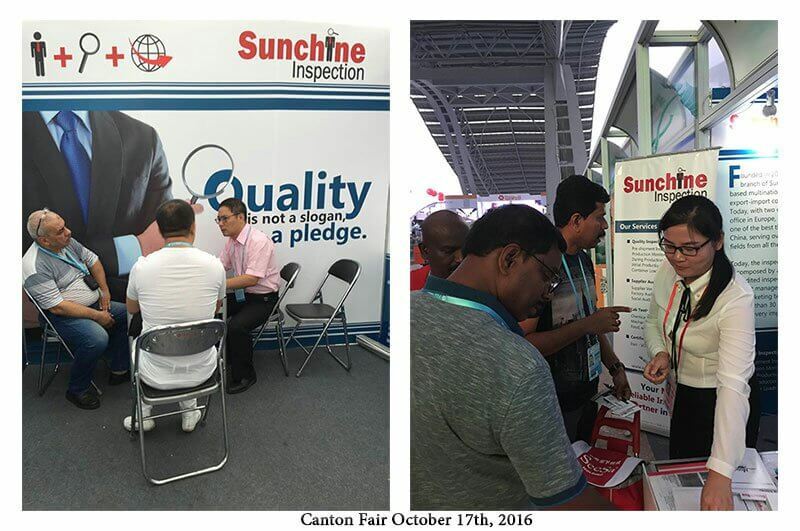 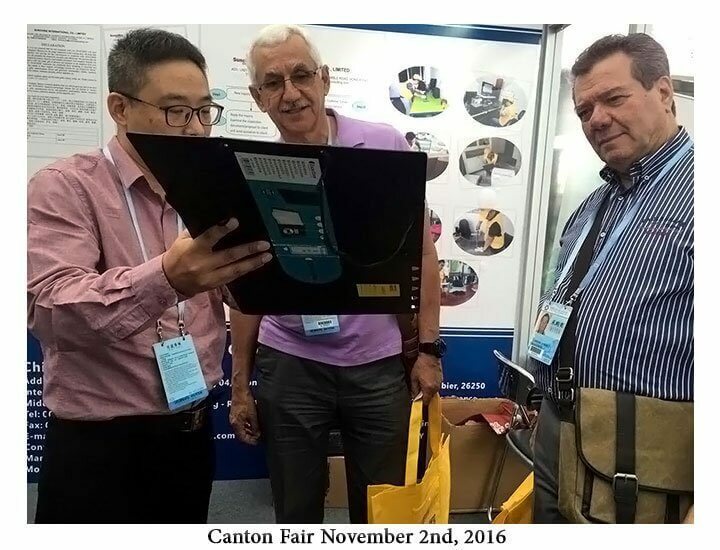 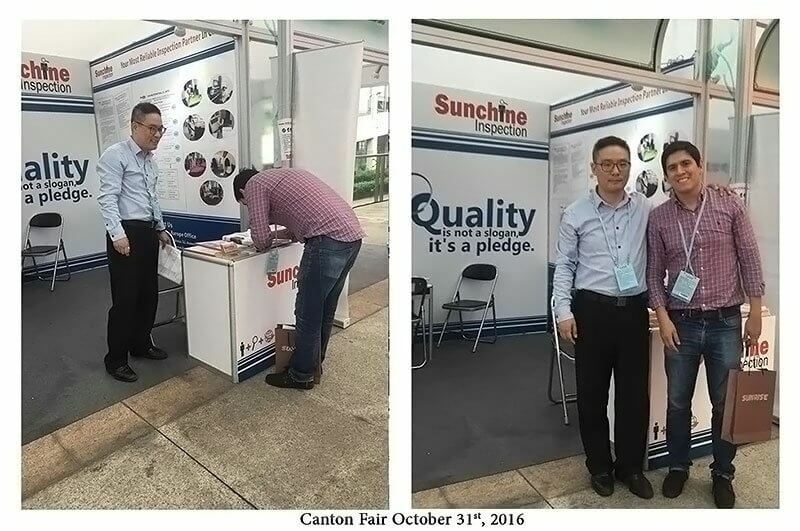 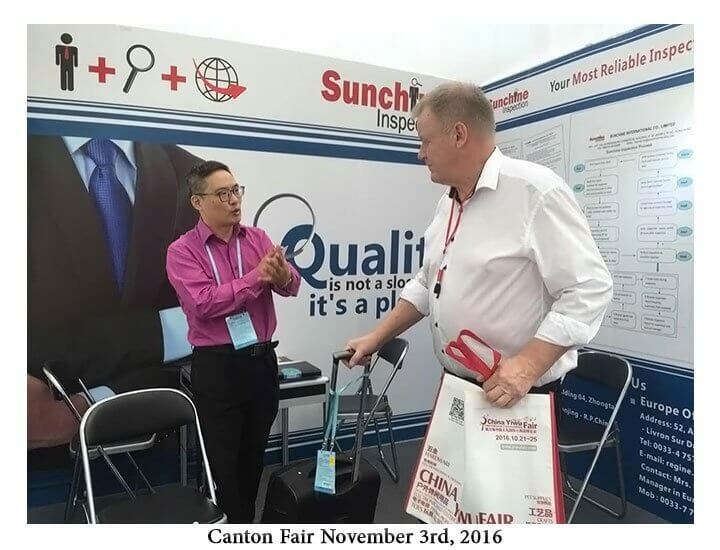 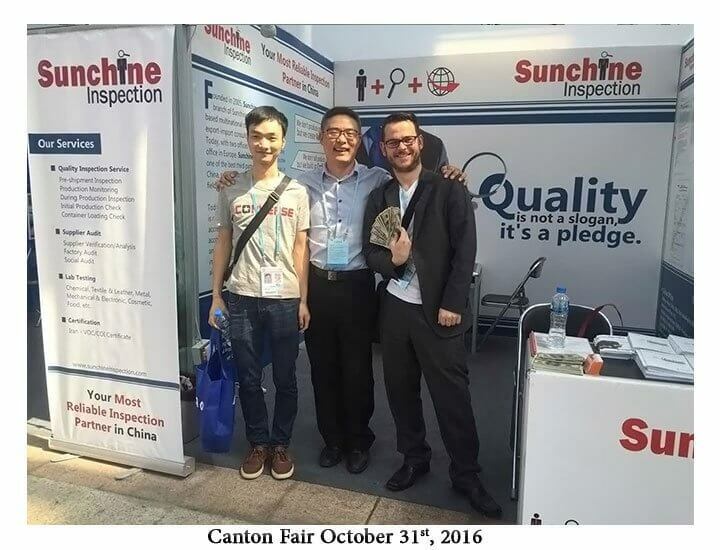 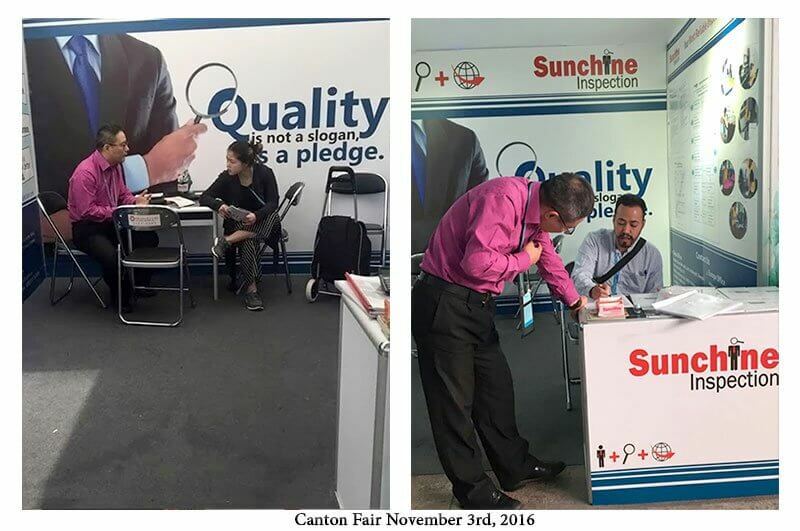 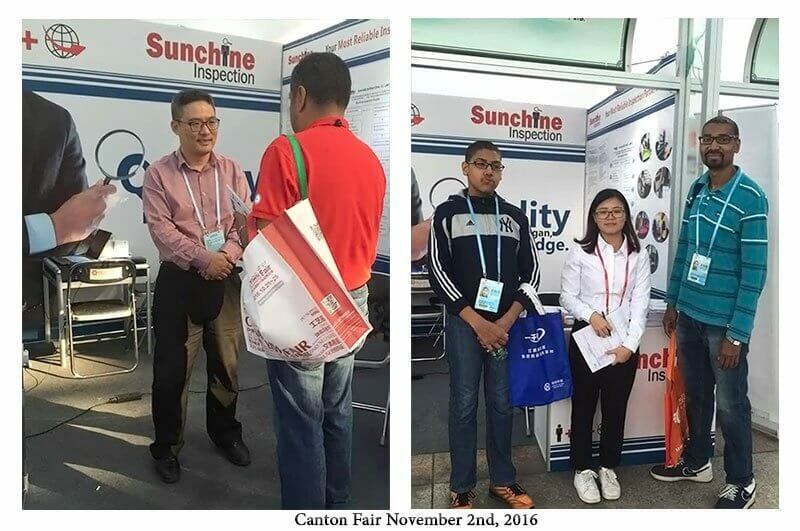 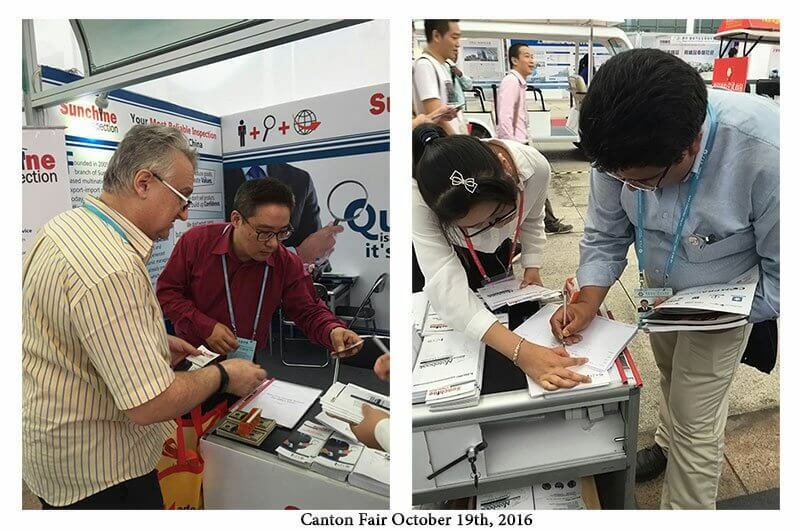 Some photos of Sunchine Inspection Booth T7 at Canton Fair on November 2nd. 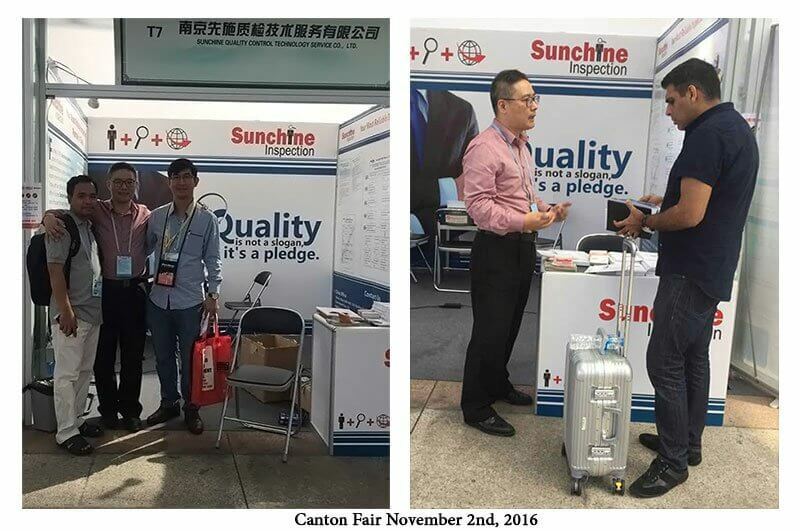 Canton Fair is over. 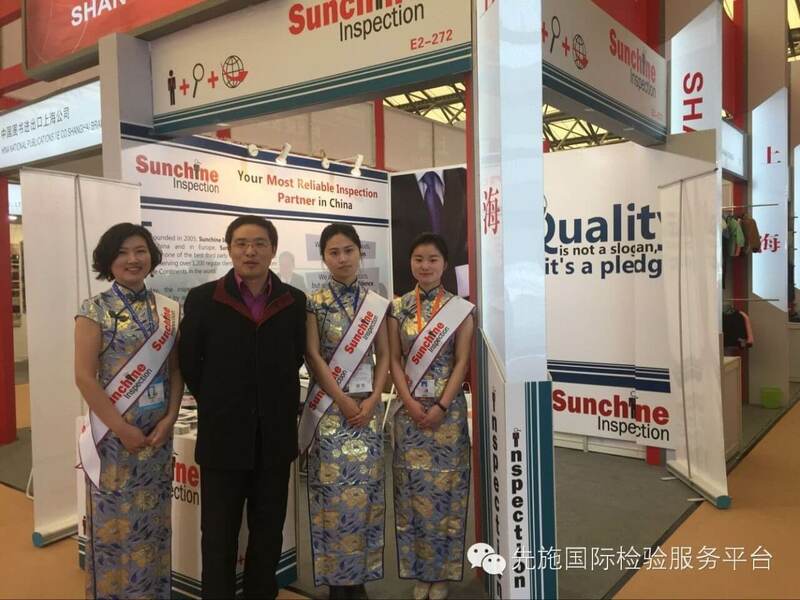 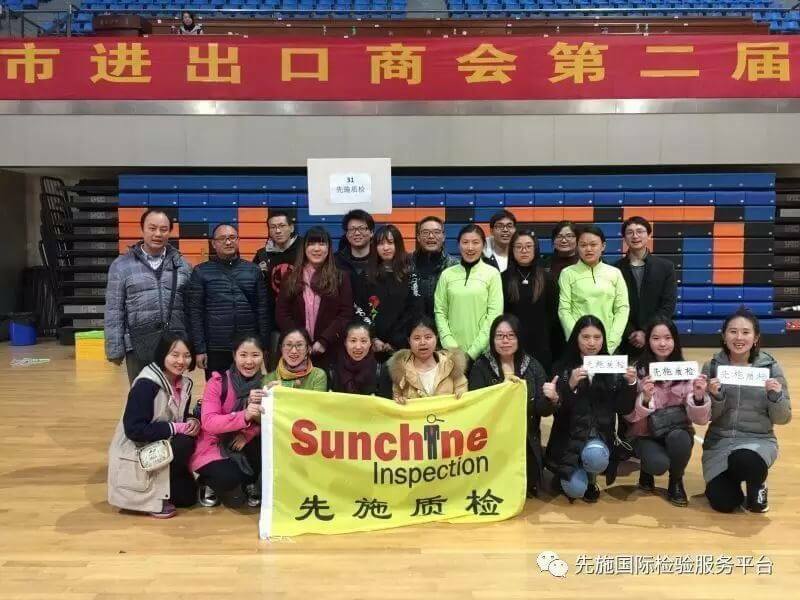 Lot of thanks to the numerous visitors who came to Sunchine Inspection booth T7 during 120th Canton Fair.